It can be easy to lose sight of your main priorities during the first walk through of a potential home. That 2 bed 1 bath house might be so beautiful you forget what you actually need: 4 beds and 3 baths! 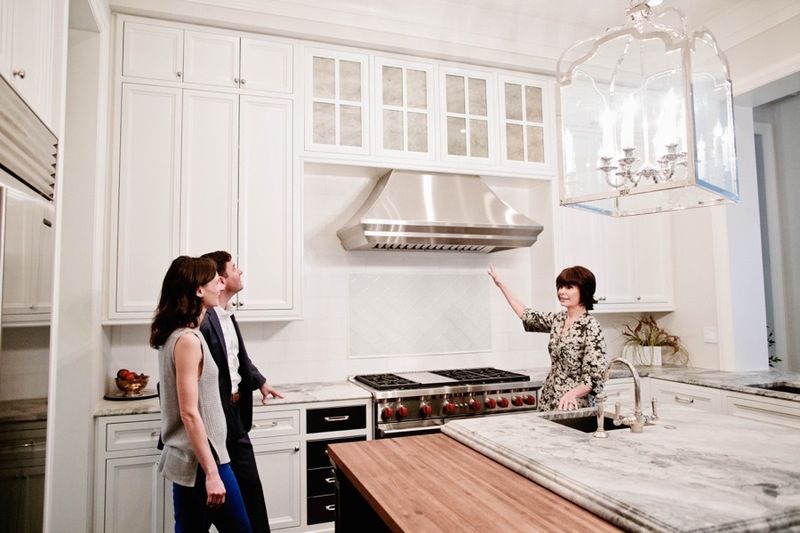 Since balancing the strategic and emotional aspects of real estate can be an overwhelming task—especially when viewing a home for the first time—I’ve come up with some useful points to keep in mind during an initial walk through. These will help you keep focused on what you truly want! Firstly, although it may sound obvious, you have to intentionally consider whether or not the space is large enough for your needs. Even if it’s your dream property in every other sense, you are bound to regret purchasing a home that is ultimately too small. Secondly, is the home laid out in a way that will work for your everyday needs? For example, if it’s important that your kids sleep on the same floor as you, does the floor plan allow for this? The property you’re looking at might work for you right now, but will it work for you years later? I always encourage my clients to think ahead to their future needs, and see if they match the property they’re considering. During an initial walk through, I also point out any obvious wear and tear; the quality of finishes such as painting and light fixtures; and any potential upgrades the house will need, as these improvements should be factored into the overall cost of the property. Upgrades to kitchens and roofs are common, for example, and the age of mechanicals such as furnaces and hot water tanks should be considered. I also like to educate my clients on less obvious aspects that might require future attention such as split face block on the exterior. Unlike brick, split face requires a maintenance program every 5 to 7 years. Finally, I always ask my clients if the location of the property will benefit their day-to-day lives. Are they happy with the exterior surroundings? If they have kids, is it close to good schools? Is proximity to public transit important to them? Obviously, the location of a home matters a great deal—in some cases, even as much as the home itself—so these are vital things to consider during an initial visit. One of the best parts of my job is getting to see this great city evolve. I keep a close watch on promising neighborhoods around Chicago, especially for clients who are looking to make smart and affordable investments in areas that will only continue to grow. I’m happy to share my top three picks for up-and-coming neighborhoods on the blog today! Located three miles southwest of the Chicago Loop in the Lower West Side, Pilsen is one of the city’s most colorful neighborhoods on the rise. It’s an arts and culture hub, with famous murals along 16th Street, Benito Juarez Park, beautiful Thalia Hall, and the Chicago Arts District in East Pilsen—now one of Chicago’s most popular art walks. The neighborhood is also full of great restaurants and breweries, including Michelin-starred Dusek’s. With continued interest from developers and prices per square foot rising annually, Pilsen is absolutely an area to watch. In part due to the continued expansion of the University of Illinois and the Illinois Medical District, the market in Tri-Taylor gets hotter by the year. Bordered by Congress Parkway to the north, Ogden Avenue to the east, and Roosevelt Road to the south, buying here is a smart way to get more for your money while still remaining centrally located. I love the storied architecture of this neighborhood, with its gorgeous 19th century brick row houses and character-filled industrial buildings being converted into lofts. Tri-Taylor’s affordability and quiet, tree-lined streets make it perfect for families, not to mention it's near some of the best Italian food in the city! As the fastest-growing neighborhood in Chicago and winner of Curbed's 2017 Curbed Cup, South Loop has it all. Developers have been keeping up with the demand for housing here by converting former warehouses and factory lofts into fashionable residential buildings, as well as taking advantage of vacant or underused land for townhouses and highrises. Importantly, many of these are still budget-friendly options compared to other neighborhoods in the downtown area. South Loop may also be home to one of Chicago’s biggest developments in decades, as Related Midwest is currently seeking the city's permission to build up to 10,000 homes on a vacant 62-acre riverside site. With its incredible dining, proximity to the lakefront, and a bid for Amazon’s second headquarters to potentially be developed here as well, South Loop is a major star on the rise. Multiple offers on your home?! A dream for many, to be sure. And, as a result of our low level of inventory, for many Chicagoland sellers, this dream is also becoming a reality. But, without a full understanding of the implications of a bidding war, that dream can quickly become a nightmare. The stakes are high, emotions are hot, and time is short. Knowing your next move is crucial, so I've put together my top three tips for sellers. 1. Understand what an escalation clause is and how they work. An escalation clause is an addendum to an offer that says a buyer is willing to pay $X for the property, but if the seller receives another offer that is higher, that the buyer will increase their offer by $Y. Let me make this is a bit clearer with an example: Say you found the home of your dreams listed for $800,000, and the listing broker has indicated that final and best offers are due. If you and your broker agree an escalation clause makes sense, you would include an addendum that says your offer is for $800,000, but that if the sellers receive a higher offer, that you will offer $1,000 more up to a cap of $815,000. An escalation clause may make sense for a buyer who is confident in their original offer, but willing to pay only a little bit more than they originally offered. Because these are highly competitive situations, I always recommend that my buyer's original offers be as strong as possible so as not to depend on the escalation clause to win the deal. Escalation clauses don't make sense in all situations so it's always important to lean on your broker to guide you. 2. Know when it makes sense to disclose or not. As the seller, you have the power to choose whether or not your broker discloses that you have received multiple offers. And with everything in real estate, there are pros and cons to both answers: if you do disclose, you risk alienating the less assured buyer. There are buyers out there that just don't want anything to do with a bidding war. On the other hand, if you don't disclose, you may be leaving money on the table. Talk to you broker, and try to glean an understanding of you particular buyers and where they stand. 3. Remember that price isn't everything. It's easy to get caught up in the bottom line, but remember that there are many additional aspects of offers to consider: financing terms, contingencies and close date to name just a few. If you are lucky enough to receive a cash offer, keep in mind that cash deals tend to be simpler and faster than financed. And lastly a few more thoughts. Remember that there is a threshold for the value of your home, and that is the appraisal. An appraisal is required by the bank financing the buyer's loan to ensure that the property's market value and the buyer's offer match. Buying or selling a home is always emotional, and multiple offers just ups the ante. Feeling confident and educated will help keep emotions in check. The New Year has just begun and already headlines are sending you mixed messages as to whether homes sales are up or down, or if it's a seller's or buyer's market. How do you cut through the noise? First, talk to your broker. Second, keep the following tips in mind as we head into the mid-winter market. Whether you're a buyer or seller, remember that real estate is hyperlocal. So ignore the national headlines and focus on your market. And by that, I mean, what's happening in your neighborhood and even more to the point, what's the price point in the area. In the Chicago area, real estate can change block to block. Forget that old advice about waiting until after February to enter the market. January is a great time to catch the wave of people who want a new home by the end of spring. Chances are – whether you're a buyer or seller – you'll have less competition if you're active in January, so both a listing and offer will stand out. If you wait until February, you might find yourself sitting on the sidelines. Someone could have the most beautiful home, but if the property has challenges (like it abuts power lines) while a neighbor's home doesn't, then it's comparing apples to oranges. If a home doesn't have any showings in a few weeks, it's time to consider a price change. There's an old adage that remains true – 14 days 14 showings – whichever comes first. Then, if you don't have a contract, lower the price. Generally, people have been looking for some time before they see your home. So, when your property comes on market and they make an offer, those people are serious. Of course you can, and should, counsel with me in navigating negotiations to make sure it's a strong offer and all parties are satisfied. Everyone wants to come out feeling like there's been a fair deal.